KOSUN Solids Control manufacture equipment for Oilfield Solids Control ,Oil Gas drilling mud solids control system,HDD(Horizontal Directional Drilling) mud reycling System,mining and industrial slurry sepration.KOSUN Solids Control system are wildly used for both onshore and offshore oilfield drilling rig,HDD drilling rig. Shale Shaker, Mud Cleaner ,Desander ,Desilter, Centrifuge, Agitator, Mixing Hoppers, Flare Igniter, Mud Tanks, Pumps, Degassers for sale. In the oilfield drilling industry, drilled solids within the drilling fluid must be removed in order to allow re-use of the drilling fluid. Efficient removal of these drilled solids results in considerable cost savings to energy companies through proper Oilfield Solids Control, reducing the treatment cost of drilling fluid, as well as protecting against catastrophic downhole tool damage and failures. -Substantial cost savings through reduced drilling fluid maintenance, disposal costs and downhole tool protection. -Separation of environmental and oilfield drilling fluids allowing for less environmental impact. KOSUN has the experience that is required to design custom tailored strip sites for various applications.We understand that each application is unique and has different variables. By doing an engineering design we are able to identify target process rates, fluid parameters into and out of the site, surface equipment size restraints and deliver our clients with custom packages to suit their specific needs. 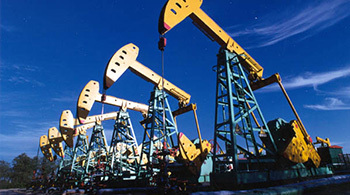 For more information about Oilfield Solids Control,oilfield solids control equipment,please contact us.